the winner of the Lush giveaway is #126 mommymae who said: sweet giveaway. thanks! send me your address, and I'll get this shipped out right away. Thanks everyone for your comments, it's always good to hear that you love fabric as much as I do. and here's another work in progress...I'm hoping that if I put these treasured fabrics together in one quilt, I might stop hoarding them! So pretty! I'm excited to see this come along. I just started a new quilt last night. Beginnings are good. Oh those look so fabulous together - very Red Pepper Quilts! Oh I love it. 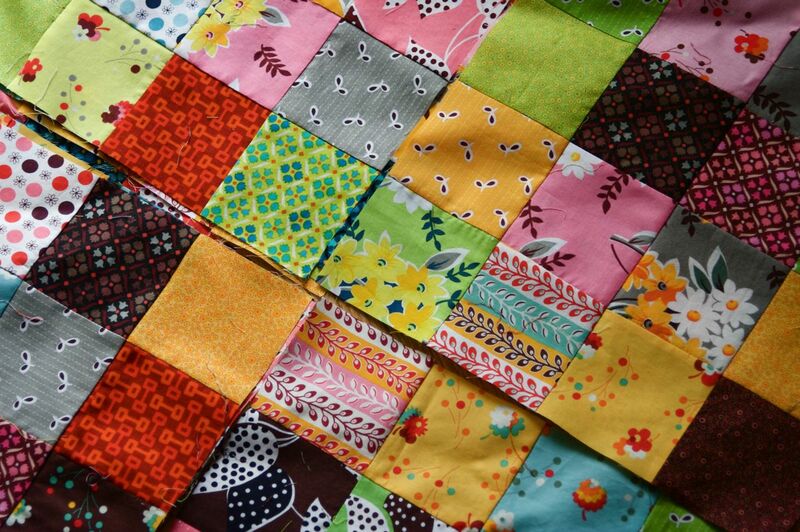 There is something about squares that satisfies me as a quilter. no way! i won! woo hoo!!!!!!!!!!!!!!!!!!!!!!!!!!!!!!!!!!!!!!!!! an a completely separate note, those squares look yummy! So love FMF. Have so little of it. Must.Stop.Hoarding.It. Oh goodness. So much pretty! I ought to learn to use the fabrics I've squirreled away instead of just letting them sit in bins. Gorgeous quilt you're making there, although I doubt it will cure the obsession - we can try right? No wonder you are hoarding them. Lovely! Can't wait to see the finished quilt. So gorgeous! I have been tempted to give up on the FMF hexes and do a quilt with all 2 1/2 ich squares instead (since it is all cut up already). Beautiful fabrics. That is going to be lovely! Wow, these are really cute. Please post more about them when you can! Oh, this is eye catching as can be. I just ADORE it!!! I just love those fabrics ! Great work! Can't wait to see the finished project. fNice use of color. Simply divine! Can't wait to see more from you. these fabrics are so beautiful. Love the simplicity of the squares. Are you going to do any sashing? Love the fabrics, so hard to not hoard them! 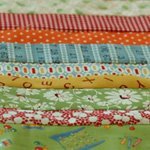 I cannot wait to see your finished quilt! i am looking forward to seeing your results. i have plenty of that fabric hoarded as well. such a shame to leave all that pretty fabric in storage! I love it! I need to do something very similar!